Some of the donations collected by Humanity First Canada are Restricted Funds by donors, where these funds are tied to a specific project or purpose and not available for the general purposes of the organization. We heavily rely on volunteer participation. 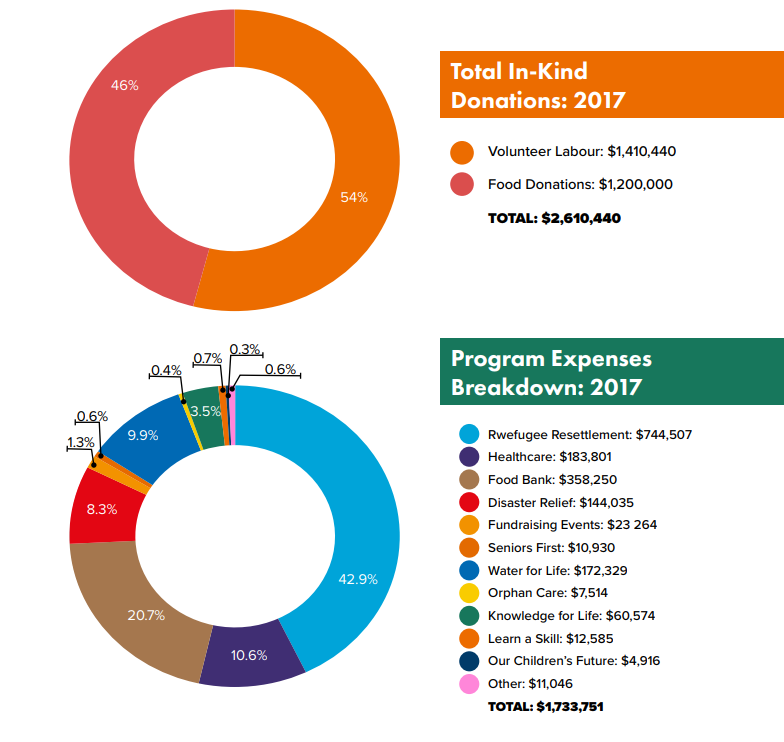 Countless hours are spent by volunteers performing various charitable activities, however, the volunteer hours are not included in the financial statements. This is because of the difficulty in accurately calculating the time spent by volunteers and difficulty in making an exact conversion into dollar figures. The audited financial statements of Humanity First Canada have been prepared in accordance with generally accepted Canadian accounting principles for not-for-profit organizations established by the Accounting Standards Board of Canada. The Board of Humanity First Canada approves an annual operating plan and budget and receives reports from management on a six month basis. Additionally, the Audit and Finance Committee of the Board – composed of volunteers with expertise in finance, accounting and risk management – meets with management every six months to monitor the external audit, financial performance, and internal control environment of the organization. Enterprise risks and related mitigation strategies of Humanity First Canada are reviewed every six months, as needed, and are examined by the Committee. Additionally, Humanity First has been further enhancing its incident reporting, compliance, quality oversight, and internal investigation capacities.